We unveiled the CERN Open Data Portal to the world recently, releasing samples for education from all the main LHC experiments and around 27 TB of high-level and analysable LHC data from the CMS Experiment. We’ll answer your questions from 16:00 CET until 17:30 CET (UTC+01). The CERN Open Data portal is the access point to a growing range of data produced through the research performed at CERN. It disseminates the preserved output from various research activities, including accompanying software and documentation that is needed to understand and analyse the data being shared. The portal adheres to established global standards in data preservation and Open Science: the products are shared under open licenses; they are issued with a digital object identifier (DOI) to make them citable objects in the scientific discourse. CERN is the European Laboratory for Particle Physics, located in Geneva, Switzerland. Its flagship accelerator is the Large Hadron Collider (LHC), which has four main particle detectors: ALICE, ATLAS, CMS and LHCb. Two years ago, CMS and ATLAS announced the discovery of a new particle that we now believe is a Higgs boson. In addition to the LHC experiments, we have dedicated facilities for studying antimatter, nuclear physics and climate science. Oh, and we also have a particle detector operating on the International Space Station! For updates, news and more, head over to our unofficial home on reddit: /r/CERN! EDIT: 17:50 CET — Ok, everyone! We're logging out now. This was fun, and we hope you enjoy all of our data over on the CERN Open Data Portal. Hi. After finding a Higgs particle (or a particle similar to it), what is the next biggest goal of LHC? As a sysadmin for an ATLAS Tier 2 site, the launch of the data portal makes me even prouder to be a part of CERN Science. The hardest part for me about Open Science is making sure the software, data and the metadata is accessible for ever. Does CERN/the experiments have a timeline in mind for how long they will support the software, make the data available on the portal and make sure that any bugs etc are fixed? 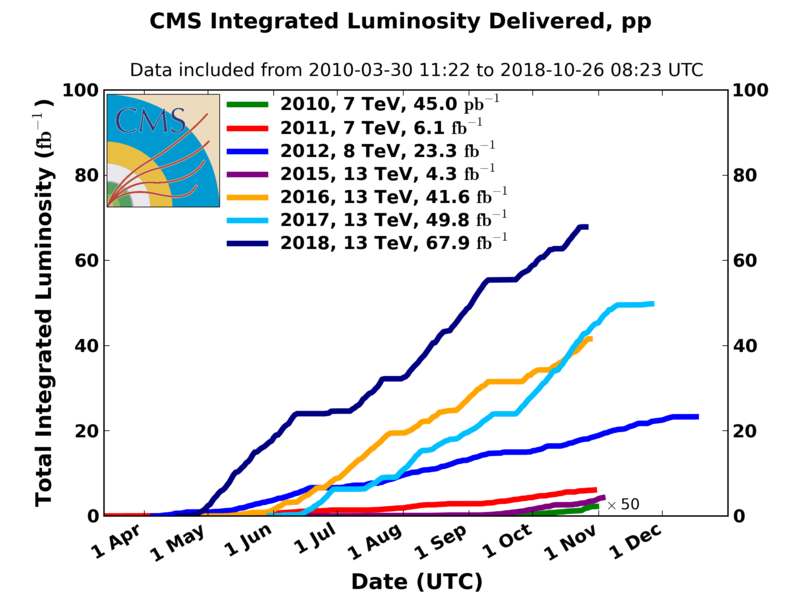 Will it be until at least 2030 when the current LHC is switched off? Yes, this is the real challenge - knowledge capture and preservation (not just "the bits"). This is definitely something that we are working on - there are a number of approaches being using, including VM technology. My nine year old brother has his heart set on becoming a nuclear physicist, loves to talk about the Higgs boson. Of course, dreams and goals change as we grow older. What did you all want to be when you were nine? What did I want to be when I was nine? A particle physicist at CERN ! What is the atmosphere around arguably the biggest research facility on Earth? Workaholic or jolly? If the government funds scientific research why isn't that science published openly and freely? Why is so much scientific articles hidden behind paywalls that make it impossible to research something without an institution supporting you? How can we change the system for the better? Here at CERN we believe in Open Access, and have published openly and freely all articles from the LHC experiments in peer-reviewed journals. The (c) stays with the authors, and the articles are available under a Creative Common license for everyone to read, re-post and re-use. Hello, first of all "thank you for your service"! (yeah that's the context that phrase should be used). I presume you have multiple architectures you operate on for dealing with that vast amount of data, do you have any standard library to deal with float rounding/cancellation/etc.. errors in various calculations, to maybe assure tests on data are reproducible, or you treat every case/algorithm as a special case? What are some of the future endeavours CERN is working on to make science more accesible and popular on a worldwide scale, especially to isolated populations (besides the open data)? And thanks for taking some time off the groundbreaking discoveries to answer a few questions, you guys rock! We have been working since long in Open Access. All the scientific publications from the LHC are available free to read to anyone, and are all published under a CreativeCommon license. Recently we have been teaming up with partners in over 40 countries to support Open Access publication of most scientific results in High-Energy Physics through the SCOAP3 initiative. Disclosure: I work at CERN. All the Open Access initiatives are very interesting, and I think one of the best ways to "contribute back" to the society. I was wondering what are the main challenges you face in promoting OA for HEP? What other particles have you guys not discovered yet? How realistic do you think Interstellar was and how favourable (or not) are your scientists to sci-fy (or bad science) movies? Ok, everyone, we're logging out now! This was fun, and we hope you enjoy all of our data over on the CERN Open Data Portal. Is there anything that a normal person with little science background could do with the data? I want to explore all this open data but I am a college art school student. Fantastic news and I hope more scientists take this approach! Question: how are you planning to handle the 49,000,000 armchair particle physicists (who last week were 49,000,000 armchair lawyers) and do you see these questions as an opportunity to engage people into the physics world? That's the entire idea: release Open Data to engage "citizen scientists" alongside scientists in this field and neighboring disciplines. The data are released under the Creative Commons CC0 waiver. This means that neither CMS nor CERN endorse any works, scientific or otherwise, produced using these data. Anyone re-using the data will be free to write scientific articles, quoting the source of the data, and submit them for publication in scientific journals. What kind of hobbies do you usually have in common with the people that you work with? Any question I ask would be absolutely stupid based on the crazy amounts of science you guys are performing. So...Thanks for all your hard work, and being on the front line of open data access and transparency. Even us not-as-smart guys know that is a huge undertaking, and hopefully one that we'll see as a continued trend. Edit: Okay, so this sub won't let me submit without asking a question. Uh. What did y'all have for breakfast this morning? What's your favorite cut of beef? Are there any tutorials how one can interpret and search through data? Are there any tools for it? Thanks for your efforts and contributions to open data and science! My question: what big data technologies does CERN use? Can you recommend anything for a small school physics course learning about electromagnetism and Lorentz force? Congratulations on the Open Data Portal. What a gift to the world! How long did it take to develop? Hi guys! Are you sharing RECO level data? Or everything you have? Why do you think some people resist open access data? And how can we make it more readily accessible? How do you guys manage the massive amount of data you get from the LHC? It's not immediately obvious how much of the Run I CMS dataset is currently available (half of 2010 maybe means more to someone within the collaboration than outwith). I could probably look this up, but how much integrated luminosity does this correspond to? Will the rest of Run I be eventually made available at the same 'level' of data? I assume you're going from tens of pb–1 to tens of fb–1, so that's a factor of ~103 more data. Is this considered a feasible goal? I'm looking forward to seeing data from the other experiments. From this, I work it out to be around 20 PB in total for Run I. Is that right? Do you also ship the scripts that were used to analyze the data? For example, can I find the actual analysis scripts that led to the conclusion that the Higgs boson exists? I am but a layman, and do not speak your language of awesome science. Therefore, I will ask but a simple question: what's the coolest thing about working at CERN? Among many other things - I am excited about the collaborative, international and open minded work environment here (sdt). Hi! I'm looking to apply to CERN for a Summer Student Programme. Do you have any tips to maximize my chances? I'm a CompSci student finishing his 3rd year, and I'm from Poland. Please see previous answer: be passionate about your work, get involved in free software community, publicise your code on GitHub or Bitbucket, etc. Edit: Fixed typo. Sorry, not all of us are native English speakers. With the pure amount of data that you will be presenting to the public, do you see opportunities to influence industry direction or mindset for the long-term maintenance of big data? Do you expect that these data will be used outside of education or double-checking the conclusions that CERN has reached? If so, what for? Also, it appears the CMS data that you released are only from a single run on a single day. Do you intend to release more or ever allow open access to the "firehose?" For the first question, there's certainly a possibility for using them outside of education. Some earlier released public data have already been used for studies of statistical methods. Double-checking may also be possible, but I would see more interest for studies which we have not yet done. LHC data are incredibly rich and while we have studied the domain which is of most interest to high energy physics, but there may still be other things buried. I'm really curious to see what! How would you guys like to see the work you do incorporated in modern science education? Also, if I had the chance to tour CERN, how much would I be able to see? When that damn Boson was discovered, there was a big talk about openness of the data, and I ended up in a debate with a scientist working in the field defending that data should remain closed just because people would be asking the scientists so many things on how to interpret the data and that means the data should stay locked up so the scientists can keep working on their stuff. The experimental scientists who discovered the Higgs Boson with the ATLAS experiment made available some of their data for their colleagues in the theoretical physics community to verify their hypotheses. I'm always happy to see scientific data made openly available, but was the project approached by any commercial organisations for data collected from the project, or are we in such crazy realms of physics that it has limited market value/commercial application? Our Open Data has value for education, citizen science, and scientists in this field and neighboring disciplines. So far we have not heard of a commercial re-use... but we released them just last week! Maybe for a start someone wants to print a t-shirt out of some of the beautiful visualizations? What's your best advice for a computer scientist hoping to do a placement year at the facility? Is data preservation really an issue in the classic data preservation sense, i.e. beyond "make sure you have five copies of it on different continents and regularily check/recreate them"? Are you trying to preserve the data in a way it will be preserved for millenia and across civilizations? Data preservation - or probably bit preservation - is quite tricky when you get to the 100PB level. We do have multiple copies of the data and these are used to recover from time to time. We expect to preserve the bits for at least a few decades and have a cost model which suggests that this is possible and affordable up to about the 10EB level (10,000 PB), which we might reach around 2040. Preserving the data AND the knowledge / environment so that they can still be used tomorrow, in ten years, in thirty years is a bigger challenge and this we are trying to address too. Do you think that Higgs boson will be the greatest ever finding by CERN? Or, are you guys planning to work or working on something even bigger? What should I do when I find a new particle in you data? Hello, just ye olde internet Science enthusiast here! I'd just like to say I greatly appreciate your work, and the fact that you take time off to inform the public about it. I have only two short questions for you. I have read some of your previous AmA here and I thought of asking, how much more have you discovered since then? Sort of an off-topic question, on your site for studentships in summer for non-member countries (http://jobs.web.cern.ch/join-us/studentships-summer-non-member-state-nationals) it says that one of the requirements is being a university-level undergraduate (Bachelor or Masters) at least in your third year. I assume this presumes you are a Physics major though, even though it's not stated? I'm interested in applying but am not a Physics major. What's the most satisfying thing about working at CERN? What science is behind virtual particles that are popping in and out of existence and how often do you see them in the results? As someone with interest in what you guys do, but not enough time to really read as much as I could on the subject, what are some of the highlights of what you do? And where could people like myself go to learn interesting things without being overwhelmed? Hello, first of all, great initiative! I just took a cursory glance through the descriptions but it seems there is no MC samples. Why? Size? I didn't see if the tools include a generator/showerer/detector simulator, does it? There was a report in the economist a few months back about how many science research papers don't get published because they were unsuccessful. Honestly, I think that 'unsuccessful' experiments should get published online or offline, as they are legitimate results that need to be taken note of or reviewed. Newsworthiness of the findings should not be the top priority, but it appears that in some instances it has been the case. The report also spoke of the difficulty in accurately replicating an experiment by a 3rd party, and the apparent mess that the whole system of peer review is in. This of course means a progressively shakier foundation for future research. Do you guys agree that some fields of science have reached this stage? If so, can the situation be remedied? What steps might need to be taken? Hi, first a big Kudos to you guys for doing this! We covered this in our weekly geography podcast over at VerySpatial.com (latest episode to be released this evening EST)! I was wondering... what software did you use for your Open portal? What is the ideal open data configuration and what role do the authors have in it? What challenges face the attainment of CERN's open data framework? at is the ideal open data configuration and what role do the authors have in it? What challenges face the attainment of CERN's open data framework? Hi, I'm a firm believer that the Open Data agenda generally is one of the ways to get more and more people motivated to challenge and innovate. What do you think is the next step in terms of getting even more people interested in the information that is, or could be, available? Hi thanks for the AMA and thanks for the open data portal.You guys are awesome. What i want to ask is what advice would you give to a CS undergraduate student planning a career on data science and how did you become a data scientist at CERN? Thanks again. how do you feel about elements being placed into the periodic table which only exist in highly controlled environments for extremely short periods of time, like nanoseconds? What do you expect people to do with this data? As in, what do you think they could discover? Will you be considering theories put forth by the general public based on your data? I know CERN has a lot of computer power. Any plans to open up the compute grid for non-physics related data analysis (say for example in computational biology)? Also, have you guys thought about monetizing it and charging individuals/corporations/universities for compute time? Are you expecting to find specific particle when you do experiments, or you have a whole list of particles that are hypothesized?